Together with L.T.Piver, Lubin, Houbigant and Guerlain, Coudray was among the five greatest perfumer makers of the 19th century. Today the house has reformulated the original perfumes, religiously preserved in its archives, allowing us to rediscover the "l'esprit bain" which made it famous. Coudray products, with bath/shower and body creams as well as Eaux des Toilettes, are ideal for day-long layering or night-time seduction ! On first contact, the scent is vivacious seductive, sparkling, and then little by little notes of citrus fruits - kumquats, bergamot orange - mingled with chilled water melon emerge. Simply irresistible. Vanille et Coco is an oriental woody fragrance for women based around vanilla and coconut. It was first launched in 1989 and has been described as an "exotic, smooth and sensual scent that is a wickedly delicious cocktail that is simply irresistible". Jacinthe et Rose (hyacinth and rose) was re-launched in 2003, and again signals Coudray's return to its 'bath ritual' l'Esprit Bain style; here a captivating fresh bouquet of flowers. Amber and vanilla have been used in combination as a base note for perfumes by almost every fragrance house in the last hundred years. Here, Coudray have pared away the superfluous the reveal the base ingredients. 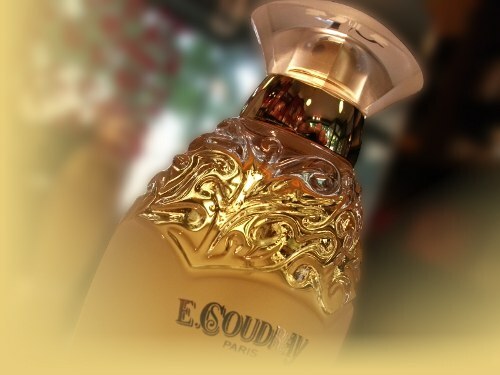 Founded in 1810, Edmond Coudray travelled the world to bring back exotic raw materials for his famous perfumes. Patronised at home by Louis XVIII, the house made colognes, creams, soaps and salves for royalty around the world, including the Empress of Russia, the Emperor of Brazil and the Sultan of Zanzibar. Among its most famous perfumes were Reve de Reine, (made for Queen Victoria in 1837) Gants Poudres, Bouquet de Souverains and the celebrated Agua Divina which still has its admirers today. Revived creations include Nohiba, Givrine, Vanille et Cocoa and Jacinthe Rose, all based upon the original formulas. New fragrances have also been added to its luxurious house catalogue.